VW Extended Warranty or Vehicle Protection Plan from autopom! VW Extended Warranty or a Vehicle Protection Plan from autopom! As of now, you are ahead of the pack, as most people, unfortunately, have never been informed that you can get a Vehicle Protection Plan from a third party, and in doing so, get coverage that is comparable, and in many cases, better than the coverage provided by your local dealership. To top it all off, the coverage can be used at any licensed repair facility, from your local favorite independent repair facility to the dealership, whichever you feel most comfortable with. Volkswagen is one of those car companies that have a universal appeal. It doesn’t matter how rich, or how poor you are. You can still look good behind the wheel of a VW. From the luxurious CC to the frugal Golf TDI. You can find a Volkswagen for any taste or budget. These cars offer storied reliability and excellent resale value. So, buying a VW is a rather practical decision. Which is exactly why you should buy extended repair protection for your VW. VW made their mark in the automotive industry by offering “People’s Cars”. They were simple, affordable transportation machines that everybody could afford. There were no frills. No Sat Nav, or power equipment. Just straightforward cars, that you could maintain in your own garage. Thanks to the success of cars like the original Beetle, and the Vanagon, VW has become one of the biggest car companies in the world. Today, VW owns Audi, Porsche, Bugatti, and Bentley. They even own Italian supercar builder Lamborghini. So, they have a huge parts bin to pick from when they build a new VW. To give you an example, the Volkswagen Toureg shares many of its mechanical parts with the Porsche Cayenne. Its 4Motion system shares many of its components with Audi’s legendary Quattro system. TSI Engines: The TSI name stands for Turbocharged Stratified Injection. What they’ve done is take a tiny engine, and added a supercharger, a turbocharger and a form of Direct Fuel Injection. The result is a huge amount of power, and fuel economy, from the very small engine. The TSI is a brilliant engine design, but the fuel injectors are known to fail prematurely. While this may not be the end of the world, it can be pretty expensive to fix. Especially if your VW warranty is expired, which is why it is a good idea to consider purchasing a VW extended warranty or service contract. DSG Transmission: The Direct Shift Gearbox combines the control of a manual transmission, with the convenience of an automatic. You can leave it in D, and just cruise around town. Or, you can shift through the DSG’s 6, or optional 7 gears, by using the paddle controls located behind the steering wheel. This is a neat transmission. However, it’s extremely complicated. Thus, parts and labor are going to be very expensive. Problems have already been reported on failing sensors, causing the transmission to get stuck in Neutral. Even though a bad sensor is a fairly small problem, the labor rates will still be high due to the complexity of the transmission. Electronics: Nowadays, a VW can be fitted with all sorts of electronic goodies. There’s a Touchscreen Navigation/Infotainment system. A radar-guided cruise control system, called ACC Active Distance Control. If you can’t drive, there’s front, side, and rear distance warning systems. There’s even a self-parking system called Park Assist. But, Volkswagen’s are known to have their fair share of electrical, and computer problems. So if you want to keep everything working properly, you might want to buy a VW extended warranty. 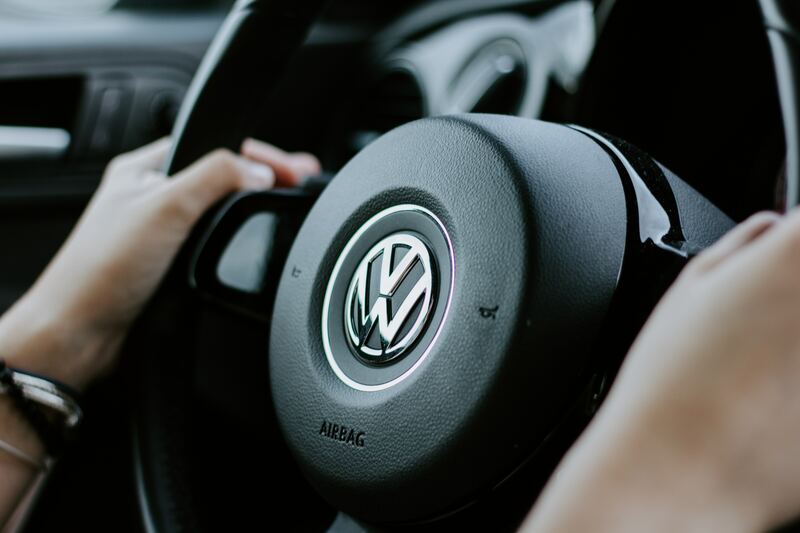 One reason that modern Volkswagen’s offer such good value for the money is because they benefit from the R&D efforts of some of the finest car companies in the world. That’s also a good reason to buy extended protection. You can’t service a modern VW in your garage like you used to. In the old days, you could remove your Beetle’s entire engine by unscrewing two bolts. Then, you’d just pop down to the local junkyard, get another motor, screw it back in, and keep driving. But, it’s not that easy today. Since many of your VW’s parts are shared with other premium cars, the parts and labor are going to be a lot pricier than they used to be. When your VW extended warranty runs out, those big repair bills might make you wish that you’d went ahead and bought the Audi. Get a free, no-hassle quote from autopom!